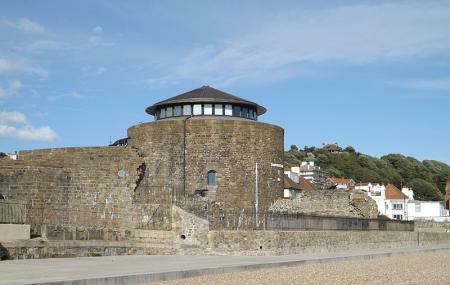 Sandgate Castle is an ancient artillery fort which was part of the coastal defense program by Henry VIII. Built in the mid-fifteenth century, today the castle is largely suffered by the sea. Though several attempts were made to restore the structure during the eighteenth century, nothing ever happened. As a result of the receding coastline, a southern part of the castle was damaged during the mid-nineteenth century. After this, it was handed over to private owners and the actual refurbishment began. Today, the castle is not open to the public and can only be looked at from the outside. It still looks picturesque standing tall along the coast. Book perfect hotels in Sandgate like Seabrook House, Stade Court Hotel and Holiday Inn Express Folkestone Channel Tunnel. There are plenty of ready-to-book Sandgate vacation packages available that will cover the major attractions, accommodation concerns including the prime one like how to reach Sandgate. Love this? Explore the entire list of places to visit in Sandgate before you plan your trip. Fancy a good night's sleep after a tiring day? Check out where to stay in Sandgate and book an accommodation of your choice.